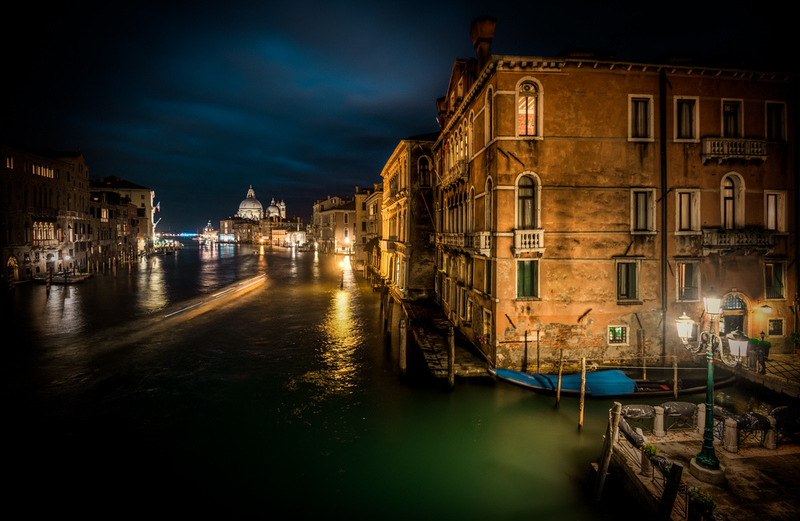 Night view from Accademia Bridge in Venice. I just loved that three armed street lamp in that corner. I have a very soft spot for old-fashioned street lamps, and if you have a look at my portfolio, you will find many. If I see one, I have to shoot it. It has been a while since the last post. I have been very busy on the art side of my activity. Me and my wife exhibited at Art Nordic 2016 last weekend, and the response was overwhelming. Our booth was full all the time. Thank you to everybody who attended and visited us. The game I play with reality fascinated people. The way I control the light, and create my own reality, they clearly considered to be art. Many people asked ‘is it photographs?’, and such a question I consider a big compliment to my work. A photo like this of Venice is in many ways pretty far from what it looked in real life. It still has the details of a photograph, but the light is something else. Something different. And that is what I work with.